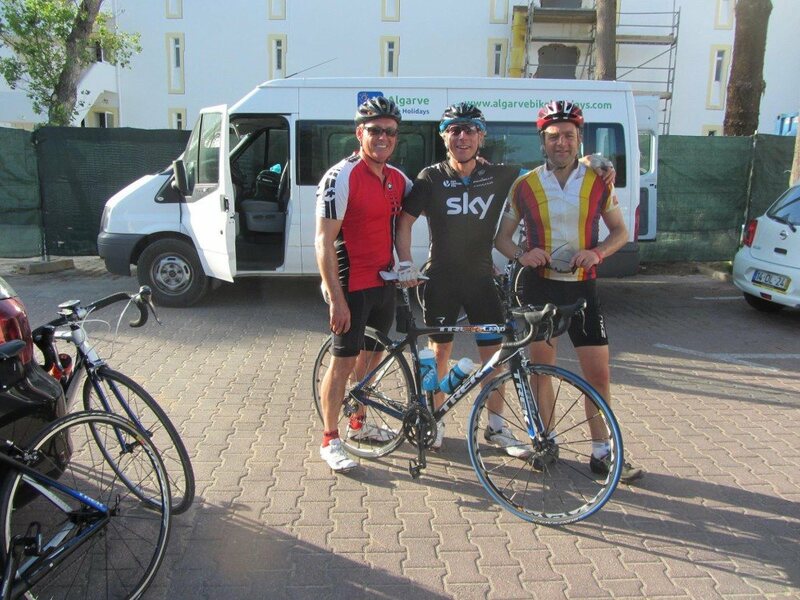 Use the form below to contact tour Tour of the Algarve directly. 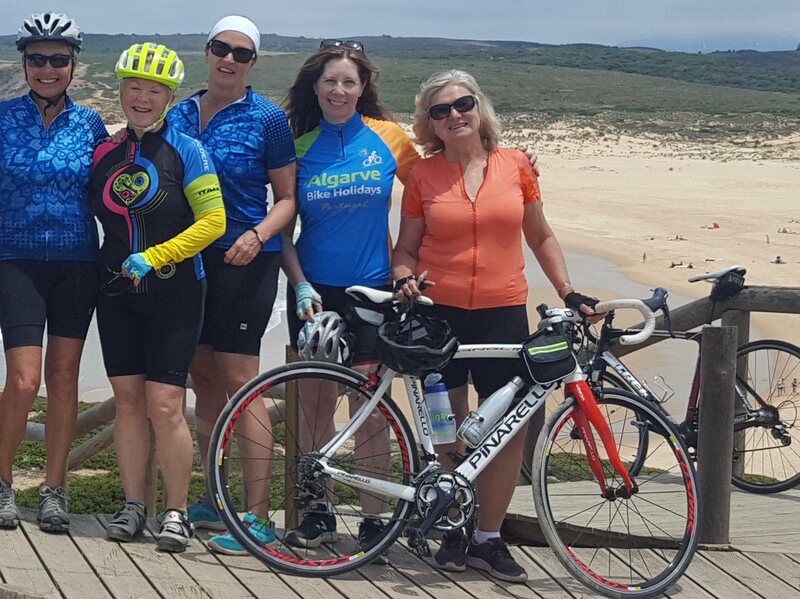 This self-guided road bike experience takes advantage of a fantastic network of quality, quiet tarmac roads that stretch across the Algarve. It’s a tour that will introduce you to many aspects of this colourful region, from stunning coastline to tranquil countryside, rugged weather-beaten landscapes to quaint village squares. Plus, the route can be adapted to suit a number of abilities, so there is literally something for everyone. Upon your arrival in the Algarve, we will collect you and take you to Vila Real de Santo António (VRSA), an interesting old town on the banks of the Guadiana River, which forms a natural border between Portugal and Spain. Largely redeveloped after the great earthquake of 1755, VRSA was recreated on a grid system, yet still retains a character of its own. It has a relaxed atmosphere and the central square, edged with orange trees and host to an array of shops and cafes, is an ideal place to spend your first evening; enjoy a spot of people watching as you tuck into some fresh local food and wine. This should get you in the mood before you set off on your trip across the Algarve. Starting off towards the ancient settlement of Castro Marim, you’ll enjoy views across the river to Spain. If you set off early enough you could factor in a trip to the Salt Spa, located in the salt pans just before you arrive at Castro Marim. Here you could easily while away an hour or so, learning about the traditional salt production industry and enjoying a mud bath in the year-round warm, mineral-rich salt waters. 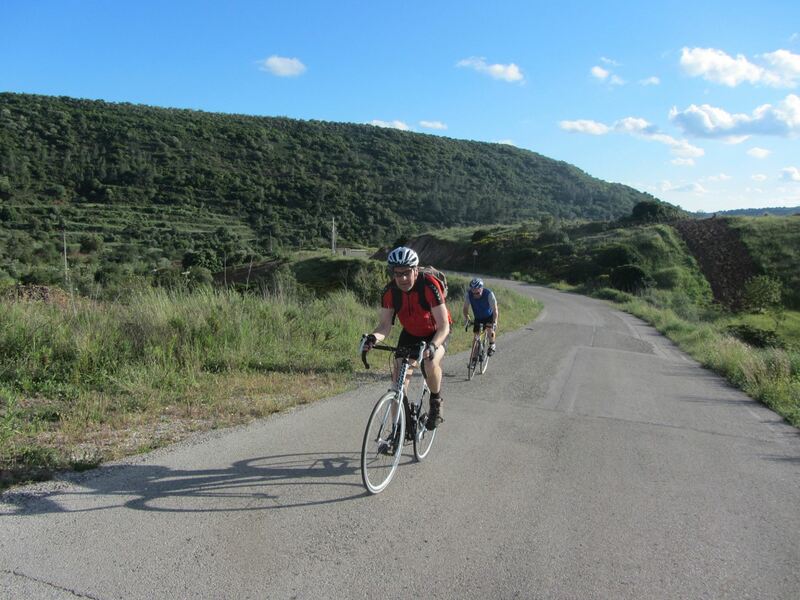 Leaving town, you will circumvent the Natural Reserve of Castro Marim and VRSA. Established in 1975, this nature reserve is Portugal’s oldest, covering 20 sq km of marshland and salt pans, still a thriving local industry. From here you will turn South and cycle alongside the local railway line to the town of Vila Nova de Cacela, before crossing the EN125 (the principal road that spans the whole of the Algarve) to the picturesque coastal village of Caçela Velha, a tiny whitewashed village set on a hill overlooking the lagoon with a little church and the remains of an 18th century fort. You will certainly want to linger here to take in the view. It’s neighbour, Fabrica, is also a worthwhile diversion; sipping coffee by the water’s edge, you can take in the boats dipping in the gently ebbing water and watch locals collecting shellfish. 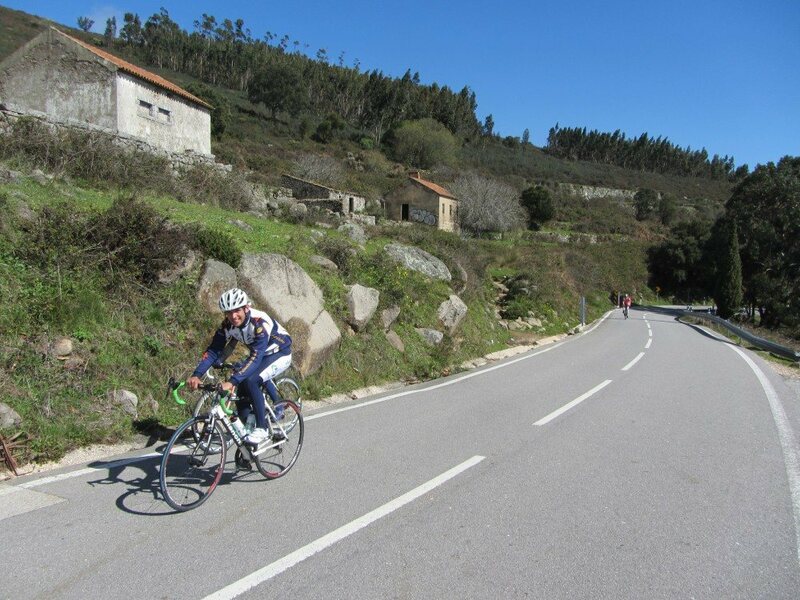 From here the route takes you back inland a little where you will enjoy some quiet country lanes, avoiding the busy roads that hug the coast, before turning South once more towards Tavira. Home to a castle, an old Roman bridge and a wealth of traditional architectural styles, Tavira is built either side of the River Gilão, which creates two distinct halves to the town. Several cafés and many restaurants make the town an easy place to stop for lunch and have a relaxing wander around. 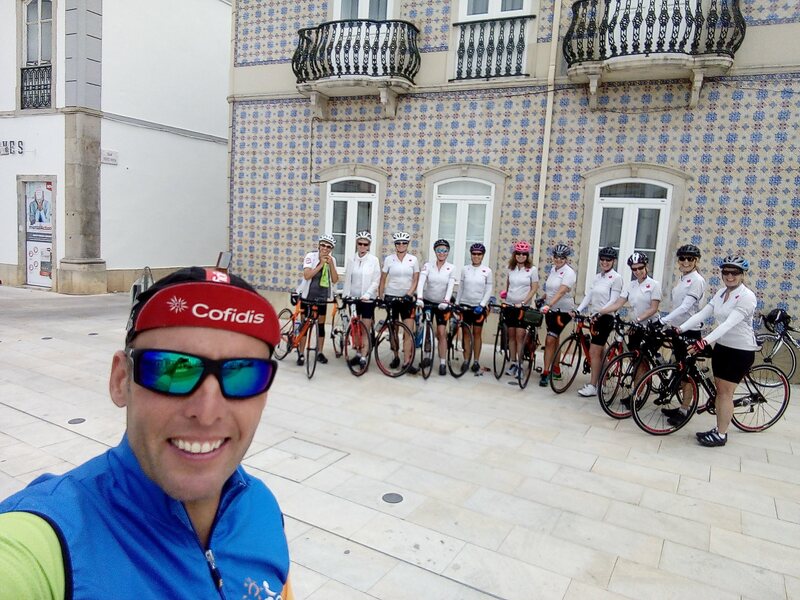 Cycling up and along the river out of town, you will wend your way through unspoilt countryside, where few tourists venture, to São Bras de Alportel – a typical Algarvian working town, which used to be the hub of the cork industry. 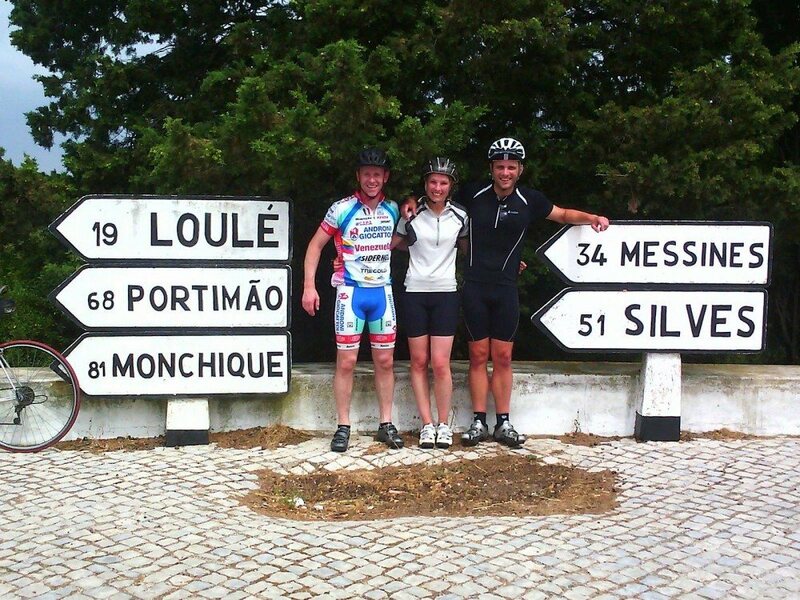 Then it is only a short stretch on to the market town of Loule. It’s an explorer’s haven, with narrow cobbled streets leading off the central Avenida, tiny shops and hidden away bars and restaurants. You can dine at one of the many cafés or restaurants that serve fresh local produce and are frequented as much by locals as visitors. Leaving town it won’t be long before you notice the levels of traffic decrease as you cycle towards the hill-top village of Querença. It’s a short hop up to the beautiful church square, where you can enjoy some local biscuits with your morning coffee. Querença is well known for its agricultural products, just as the rather strong “medronho” (a sort of fruit brandy) and the famous “chouriço” (smoked sausage). In fact they even hold an annual sausage festival, which draws visitors from far and wide. But it’s sitting outside the authentic and welcoming cafe, taking in the tranquil setting and beautiful backdrop of the small church that we think is the real attraction here. You will need to tear yourself away from this but there is a lot more to see as you cross the valley to join a surprisingly traffic-free main road that is punctuated by small towns and villages. With sweeping country scenes to your left and right, this road leads you past the traditional working town of Salir, where you can add a quick loop that takes in Rocha de Pena, a natural rock that offers 360 degree views if you are energetic enough to climb to the top. Finally, you will reach the charming village of Alte, famous for its white painted houses and fresh water springs. There is a beautiful church in the centre of the village, surrounded by cafes and craft shops, selling locally produced goods. A coffee and pastel de nata (custard tart) on the back terrace of the pasteleria, Agua Mel, is a must. A short stroll around the village will reveal some lovingly restored houses and lots of little surprises, including a village donkey! Leaving the village on the West side, just past the cemetery, you will cycle quiet, undulating roads to Messines – a typical agricultural town, with narrow streets and yet another church as the centre piece. On the other side of town you will enter lush green valleys, with tiny hamlets and farmsteads amidst an abundance of thick vegetation. You will most certainly want to make the most of your stay in Silves, an enchanting town on the banks of the Rio Arade. Steeped with history, Silves was once the Moorish capital and is home to the best-preserved castle, in the Algarve. The views from the castle over the town and the surrounding countryside justify the rather steep ascent along narrow cobbled streets. There’s a café just by the entrance to the castle where they play live music, a great spot to while away an hour or two, Host to an annual Medieval Festival, one of the biggest in the region, Silves is ordinarily a sleepy town, where you get the real feeling of taking a step back in time as you wander through the myriad of back streets. Heading west towards the southern tip of Portugal, you can look forward to some dramatic scenery as you approach the rugged coastline around the fortress at Sagres and the high cliffs at Cape St Vincent (the southernmost tip of Portugal and Europe). In the meantime, there is plenty to see on your way, as you travel through Algarve countryside that is largely untouched by the tourism that dominates the coastal resorts. Leaving Silves town you will cycle parallel to the River Arade for some way before veering slightly North towards the foothills of Monchique (a pretty hillside town which you will be visiting later in your trip). Cutting across country you will enjoy some peaceful winding roads, surrounded by farms and forests, leading you through the odd tiny hamlet before heading South towards Odiaxere; a typical Algarvian village with the inherent village square and daily market selling local produce, as well as a beautifully preserved old windmill. From here you will track gradually South West, avoiding the main arterial roads, but passing through a number of working towns and villages, where you can really get a feel for how the locals live. You will not be short of cafes and village squares in which to linger, or churches and traditional architecture to admire. This part of the Western Algarve is known as the ‘real’ Algarve and it’s a must see, in contrast to the beautiful, yet busier, beach scenery for which this region is better known. The locals are friendly if not fluent and there is lots of fun to be had as you discover there is more than one way to communicate! For the more adventurous there are plenty of opportunities to try some of the lesser known local dishes, such as Perceves (barnacles), Javali (wild boar), Lebre (hare), Perdiz (partridge) and Codorniz (quail). As you approach Sagres along the main (yet still comparatively traffic-free) road from Vila do Bispo, you will quickly be aware of the fact that you are approaching the wild Atlantic Coast as you breathe in the salty sea air and enjoy the bracing winds and natural roughness of the land and seascape that surrounds you. Sagres is a truly tranquil town with beautiful beaches, a picturesque harbour, a very pretty town square and stunning views. It is very popular in summer with visitors, but all year round with fishermen and surfers because of the western Atlantic waters creating such good waves for surfing. It is mostly known as the place where Henry the Navigator brought together great mariners, astronomers, ship-builders and cartographers to build and navigate great ships in the period of the Age of Discoveries. Sagres is also home to Henry’s fortress, which was originally built in the 15th century. You may be ready for a rest and a good meal and there are plenty of eateries to choose from. Starting out from Sagres, there is the option to visit Cape St Vincent, home to what is claimed to be one of Europe’s most powerful lighthouses. This is around a 12kms detour but well worth it and a gentle warm up for the ride ahead. Returning to Vila de Bispo, taking in the aroma of the wild flowers that proliferate along the rugged rocks of the clifftops, you will join a long tree-lined road that stretches for miles Northwards. An ancient village, Pedrelva, that has been brought back to life from being a cluster of abandoned ruins, is perhaps worth a quick diversion. 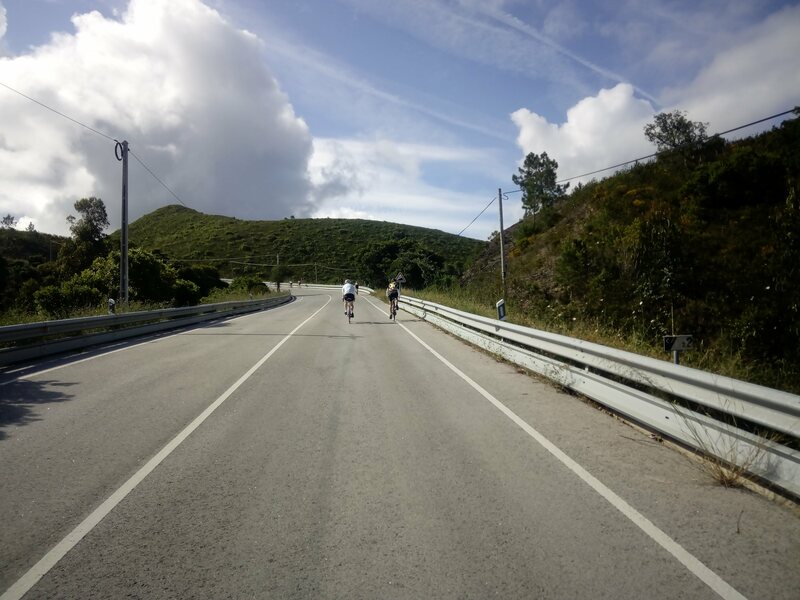 Otherwise, the long undulating road is ideal for getting some decent kilometres under your belt before a possible lunch stop at Carrapateira. Carrapateira is a village of fisherman and farmers alike and the perfect spot to take a little time out. From the easily accessible peninsula at Pontal da Carrapateira ( a circuit of around 5km), you can enjoy dramatic views of the cliffs and crags dropping to the Atlantic and, on a clear day, you should see the Sagres lighthouse in the distance. Whilst to the North you will see the immense Bordeira beach and sand dunes, from where you can observe the action-packed surfing, which is huge in this area. Progressing northwards, the scenery changes as you approach your overnight stay in Aljezur, an ancient Moorish town situated in a lush green valley and built on either side of a river that runs through the valley. You have now entered the “land of the sweet potato” of which Aljezur is deemed the “capital”. It’s said that they produce the tastiest varieties because of the weather conditions and the sea air. So it’s probably the best place to sample it cooked in one of a few traditional methods. If you happen to be there in October/November, they even have an annual Sweet Potato Festival. Todays ride is not about the distance but all about the climb! Your destination, Monchique, is a market town up in the Serra de Monchique, which is a thickly wooded mountain range separating the Algarve from the winelands of the Alentejo. 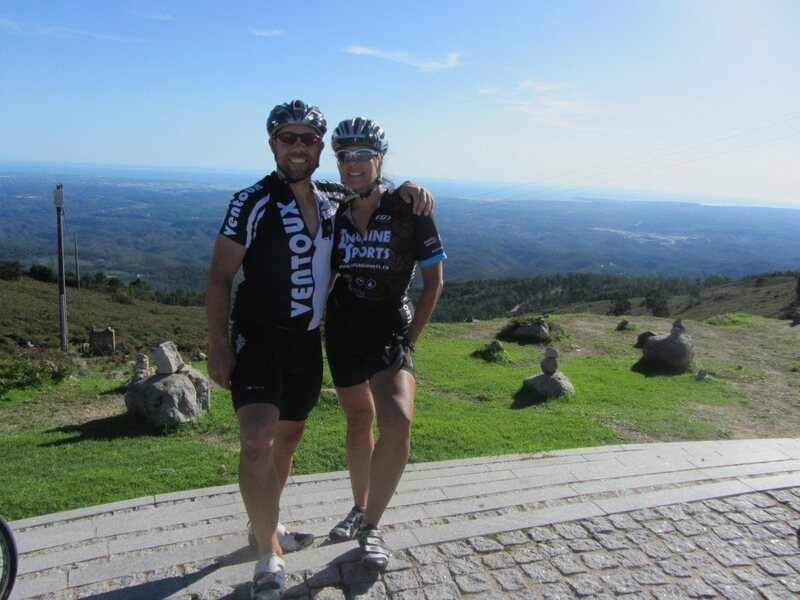 The journey up to Monchique offers spectacular scenery and is totally different from coastal Algarve. Heading out of Aljezur, you will embark on a steep ascent to the tiny hamlet of Pedascas, where you will begin to appreciate your efforts as you enjoy the views to the South across the Algarve. 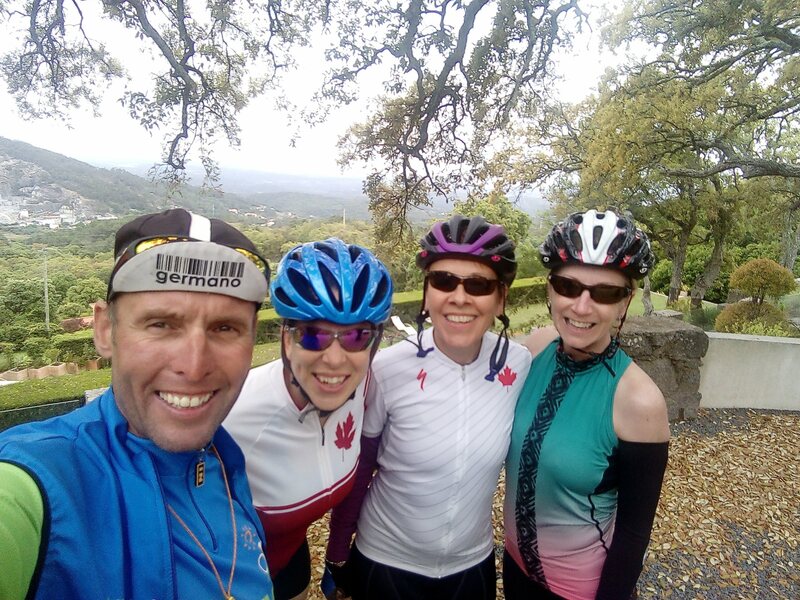 The road becomes more undulating towards Marmelete, where there are a couple of cafés that are accustomed to serving sugar and caffeine in various forms to those tackling this breath-taking climb. After Marmelete the route is more forgiving as you meander around the pine-covered hilltops and descend through some of the steep valleys that surround Monchique. Monchique is, indeed, a perfect place to finish your journey; a quiet and relaxed town, with friendly locals and some fabulous restaurants with views to die for. If you feel in need of some pampering, neighbouring Caldas de Monchique is home to some traditional thermal baths, where you can rest your aching legs as you enjoy some rather special spa treatments. 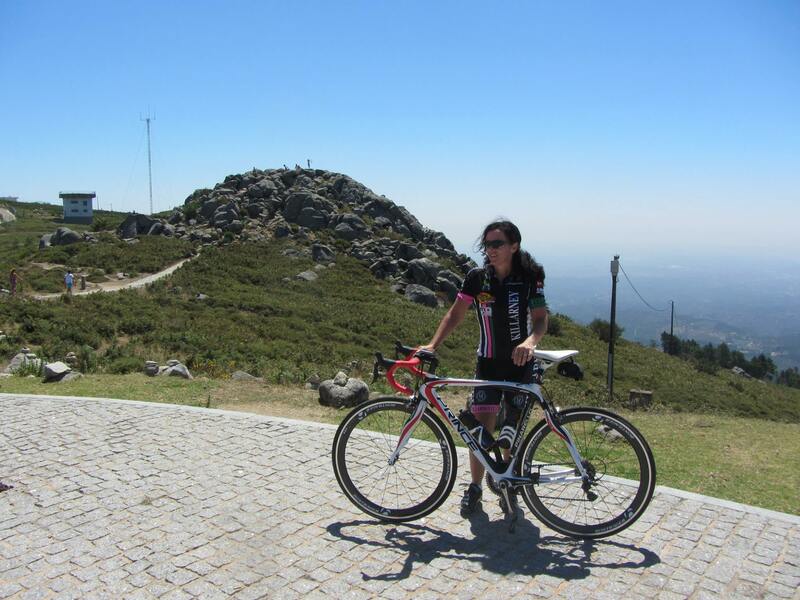 But you may well be feeling energised and what better way to complete today’s adventure than make the final 8km climb up from Monchique to Foia, the highest peak in the Algarve? 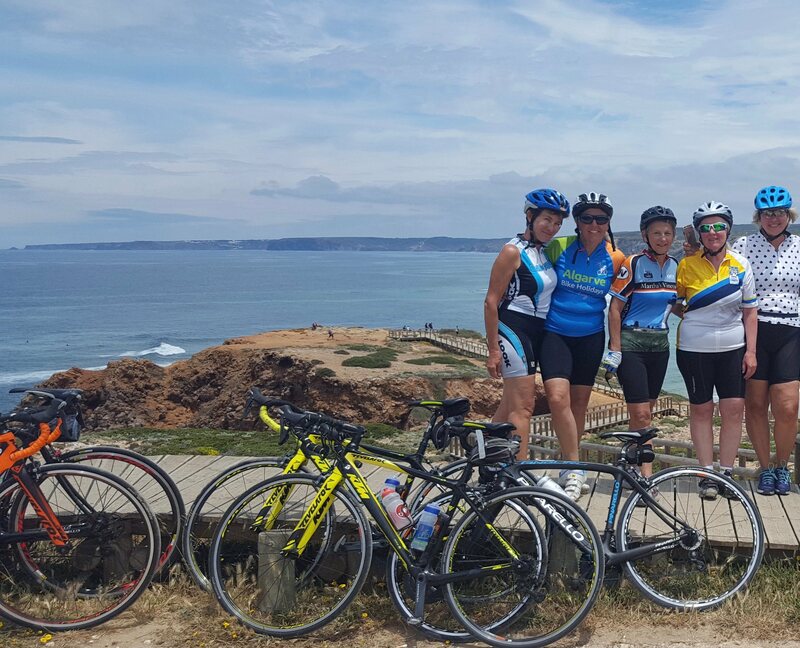 It’s an iconic route that is undertaken by local and pro riders alike but, most importantly, on a clear day, you get the best views across the Algarve right down to the coast. Your boutique hotel is situated just a few minutes out of town and close to some local restaurants offering quality home-cooked food and wine. 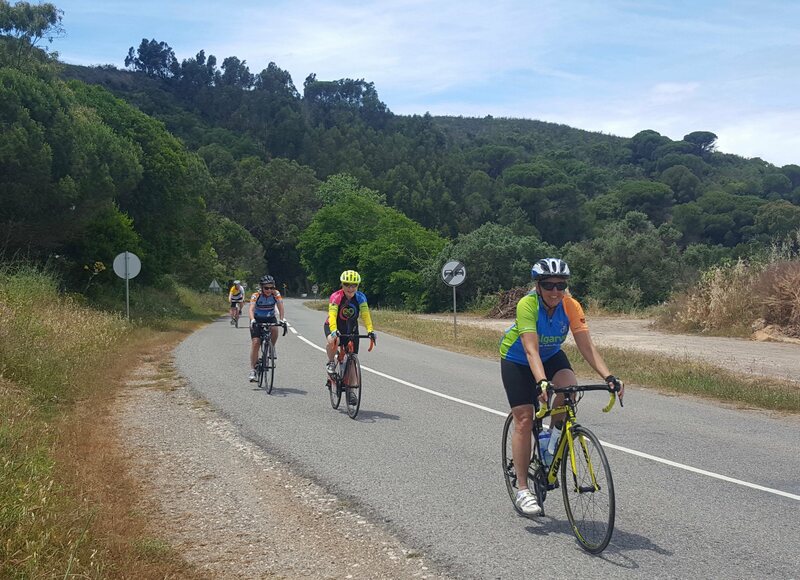 There are many options for the route down to the coast today; our recommendation will give you some great scenery and more quiet roads, but you can decide on your chosen route on the day, as it’s easy to navigate either way. 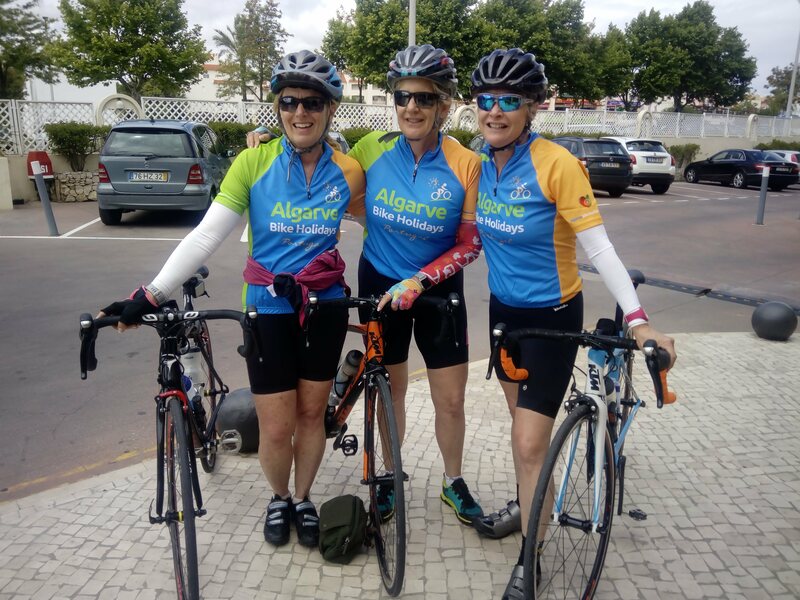 Passing through Silves again your toughest climbs are behind you, as you make your way through the traditional agricultural town of Algoz and the small but bustling Guia. Birthplace of the famous Chicken Piri Piri, Guia is full to bursting with establishments that claim to be the ‘original’, ‘the first’, ‘the King of…’ Piri Piri restaurants! So you can easily take your pick and enjoy a simple, cheap and filling repast, before the final leg of your journey. The last few kilometres take you past the well-known vineyard Adega do Cantor, established by Sir Cliff Richard. These rolling hills will be your last image of the Algarve countryside as you descend to the Coast and your destination for the night, the popular seaside town, Albufeira. This is a bustling tourist town with lots to see and do, and some busy bars and restaurants where you can celebrate the end of your cycling trip! . You will be staying in a good quality 4 star hotel within walking distance of the old town so the nightlife and restaurants are close by but not too close. We will transfer you from your accommodation to the local airport or train station for your journey home. Prices are per person, based upon two people sharing a twin/double bedded room. Discounts are available for large groups, please contact us for details. We also offer options for daily route extensions.